CSE HTML Validator Enterprise is the most powerful edition available. It includes the Batch Wizard with extended capacity for larger jobs, the Configuration Editor, a full year of priority support and maintenance (PS&M) (not just our basic support), and more. The differences among the enterprise, professional and standard edition are listed in the following table. When HTML Validator finds problems, you can fix them easily with the integrated HTML/Text editor. Also see the comparison chart. 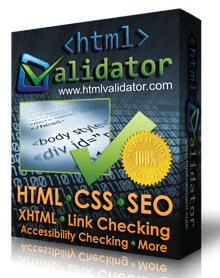 CSE HTML Validator helps you produce top quality websites. Remember, if a visitor has a problem with your website, then the next site is only a click away. If you have a business website, then CSE HTML Validator is a no-brainer; you'll quickly find it indispensable (and your customers will appreciate it too). Are you wondering why your site is doing poorly on the search engines? Bad HTML may be the cause. Search engines may encounter great difficulty crawling, indexing, and extracting the content of a website that contains severely broken HTML. CSE HTML Validator will help you avoid bad HTML that can harm your position on search engines. Using CSE HTML Validator to produce a quality website can build customer loyalty, improve brand equity, protect your corporate image, and increase revenue. Even when using a WYSIWYG editor, don't assume that it knows how to write good HTML! The fact is that most of these programs generate very poor HTML. When using a WYSIWYG editor, be sure to check the documents that it generates before publishing them on the web. You may be surprised at some of the nonsensical things these programs will do. Don't take chances. Save hours of time. The more HTML you write, the more time you will save. Don't waste time manually looking for problems, figuring out why your HTML doesn't display like it should, or using online checkers. Get CSE HTML Validator and check HTML, XHTML, and CSS fast. Remember: Time is money. Wouldn't you rather be doing something more productive than manually checking all those tags, attributes, properties, links, and more? You'll be able to prevent many viewing problems before they happen. You won't have to wait until one of your visitors tells you about it. How many people are leaving your website because it's not displaying properly on their screen or not compatible with their web browser? Too many if you aren't using CSE HTML Validator. Are you learning HTML? CSE HTML Validator offers you helpful advice and points out mistakes. There's no better tool to help you learn HTML than CSE HTML Validator. Are you a computer or Internet consultant? Use CSE HTML Validator to show your clients how poor their website is and increase your business by helping them fix their website! Your HTML writing standards will be superior to many HTML authors who still do not realize the importance of checking their web documents for problems. Protect your reputation: If anyone looks at your HTML, then you'll have much more confidence in what they see. They'll know that you know what you're doing and that you care about giving a good impression with your website. CSE HTML Validator also includes tools that change HTML tags and attributes to uppercase or lowercase, a tool that strips HTML tags, a tool that converts different operating system text file formats to other text file formats, and a tool that lets you use templates in your documents. Improved visual quality on high DPI systems; CSE HTML Validator is now "DPI-aware"
• This is not an HTML editor but a visual web site generator with HTML4, XHTML and HTML5 output. • Validation tools for form components with optional info balloons or native HTML5 validation. • The built-in form procesor has ability to store form data in a MySQL database or save to a CSV file. • reCAPTCHA object for (PHP) forms. Helps to stop spammers from submitting form data automatically. • Flash/Flash Video, YouTube, Quicktime, Real Audio and HTML5 audio/video support. • Built-in FTP Client to manage your online files. • Photo Gallery with lots of cool features like picture frames and support for lightbox slideshows. • Navigation bars, Tab Menu, Slide Menu and many other navigation options. • WaterMark tool to image with many options! Protect your copyright protected images was never easier. • Shape object (Rectangle, Ellipse, Arrows, Flags, Signs, Stars, Talk Bubbles and much more!). • Rotate images and shapes. • Master frames. Create master borders where only the content of the pages is different for each page. • News Feed Ticker. Display RSS feeds (local or from another website), Twitter, Flickr images etc. • @font-face support, now you can (web unsafe) embedded fonts in your page! • Mega Menu. Yet another menu to enhance your website. Recover deleted files using Comfy File Recovery. The program recovers accidentally deleted files, information lost after formatting logical volumes on hard drives, USB flash drives, and memory cards. The program’s “Partition search” function lets you find and continue recovering files from a deleted logical partition. 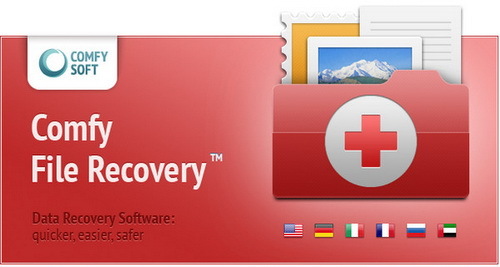 • The program lets you view the contents of the files being recovered and to search for, filter, and sort the files that were found for recovery. - Fixed: Problem with Banner text animation in FireFox. - Improved: Font-sizes in jQuery UI widgets (.ui-widget) are now initialized at 1em. - Improved: Global Replace now also includes responsive text fonts. - Improved: Redesigned CMS Menu to support sub menus on touch devices. See the help for more details. - Improved: Added the ability to create 'touch friendly' sub menus in CMS Admin. Set the 'External URL' to '#' to create a parent item (without a link). - New feature: Added 'High DPI support' (experimental/under development). Enable this option to make the WWB user interface 'High DPI aware'. This will render fonts sharper, but images may look fuzzy. 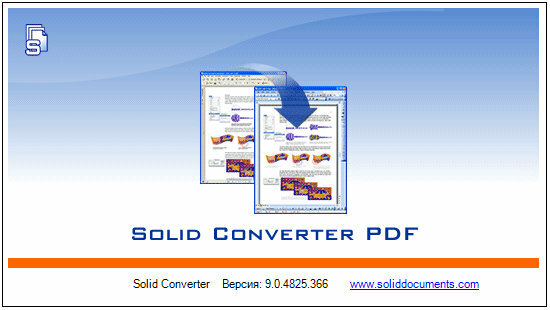 Solid Converter PDF converts PDF to Word, Excel and creates PDFs from ANY program that prints. Convert your PDF files to Microsoft® Word documents for easy editing. PDF to Excel Conversion. Convert tables from your PDF files to Micrsoft® Excel spreadsheets. Select pages or entire document. WYSIWYG Content Extraction. Convert selected tables or images from a PDF file. Creates tables in Word or Excel or image files. Quality Conversions. No need to waste hours reformatting and reworking your files. PDF Creation. Simply drag and drop. Easily create PDFs from your documents. WYSIWYG user interface. Batch-Process Conversions. Save time by using batch conversion palettes in the UI or using scripts from the command line. 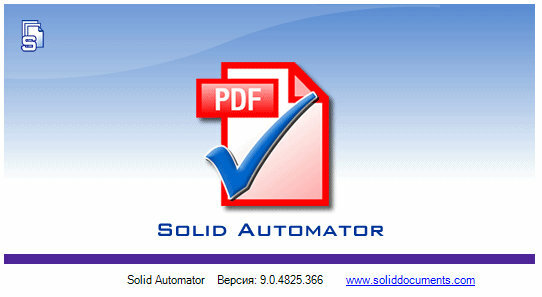 Solid Automator - automated PDF to Word conversion, PDF/A validation, PDF to PDF/A conversion, searchable PDF creation and text extraction. Solid Automator uses watch folders and pre-defined settings to automate PDF workflow. Convert images and PDF files to PDF/A, validate PDF/A and create PDF to searchable PDF or PDF/A. ISO 19005 PDF/A-1b, PDF/A-2b, PDF/A-2u, PDF/A-3b and PDF/A-3u formats supported. Validate PDF/A. Verify ISO 19005-1 and ISO 19005-2 compliance for existing PDF documents and repair common issues. Standard PDF/A Compliance Reports. Solid PDF Tools creates standard PDF/A validation reports as per the specifications from the PDF/D Consortium. Keyman Desktop is a market-leading keyboard mapping solution, designed with the user in mind. Well-supported across Windows®-based software, Keyman brings a simple solution to the complexity of typing in a range of languages and scripts that are either unsupported or only partly supported by the operating system. From Amharic to Zulu, Keyman Desktop 8 is rich in features which make typing in any language easy. A lightning-quick install, integrated tutorial and instant-access help will have you typing in seconds. It's the perfect mix of powerful software, intelligent keyboards and intuitive design. Keyman Desktop 8 runs just as smoothly in 64-bit Windows 7 as 32-bit Windows XP and everything in between. Everything you need to create your own website. 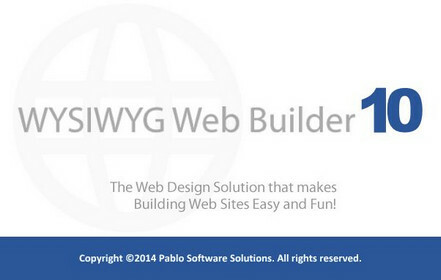 The most powerful web design software we’ve ever made. WebPlus X8 has so many new features to give you more power and control over your websites than ever before. Experience our best ever website designer today, we know you’ll love it! Images speak more than a thousand words, so we’ve made it even easier to add life to your website in WebPlus X8. Galleries are more flexible, and you now have more controls than ever before. Tell your story through a sequence of images by organising photos by the time they were taken, so that they display in the correct order. Creating a masterpiece takes time, but creating an amazing website, with stunning galleries only takes a few clicks in WebPlus! - Add extra security to your work with the new Watermarking feature. Imprint your own digital mark onto every image that you display on the web by adding semi-transparent text and logos to photos, with full control over position, size, colour, plus so much more. - Your customers will experience a whole new way of interacting with photos as the new magnifier allows you to showcase your products and images in greater detail. Through the magnifier, visitors can zoom and pan around to see your images at their highest resolution. - It’s now even easier for people to share your amazing imagery with the world too. A new rollover Pinterest button can be applied to images so that your art, crafts and photography can be shared in just one click! It’s so important to interact with your customers, so we’ve made it easier with even more readymade forms to fit your company’s needs. Choose from a variety of pre-made themes, including feedback forms, contact us and sign up forms, which you can then personalise using built-in options, and by using your very own background colours. In one simple form, you can open your business up to instant feedback, while still maintaining an air of privacy and professionalism that a simple email us link can’t do. You’ll capture more responses with no coding necessary. It's really that easy. Whether you are an expert, novice or somewhere in between, you want your web tools to be as intuitive as possible. So, to help with this, the Smart Objects in WebPlus have been re-engineered to suit your needs. Create and manage a range of powerful and popular web features for free, such as forums, blogs, accommodation booker, and much more, all with just one log-in. Smart Objects can now be stored more easily too, and then re-used for other sites, as well as used multiple times within one site with a variety of settings. You’ll also enjoy a more effective site search that allows visitors to search blogs, regular content and smart objects, to find exactly what they need fast. Making beautiful websites is so easy with the new Slider Studio. Set slider behaviour, control interactivity, and add, remove and fully design panels all in one place. Every slider can be easily customised to fit your website design, and your needs. The dedicated Slider Studio makes adding that visual impact so easy. Create beautiful, interactive websites by adding a whole host of sleek effects. You’ll enjoy having objects fade and animate in and out of view as well as a smooth page scroll when moving up and down your pages for a greater user experience. The new Embeddable Fonts List lets you select from a range of attractive, web safe, embeddable fonts that still look as intended without being converted to graphics. This ensures that your website will be picked up in search engines much easier and your website text will look exactly as it is intended to be. And with 40 embeddable fonts included, you can rest assured that fonts are now more accessible and will maintain their appearance on any screen. Fine tune your website graphics with new and improved filter effects such as the cool retro Trail effect, directional feathering, drop shadows and much more. WebPlus becomes your website design companion; it’s there for you every step of the way. With the new interactive, task-based web design assistant, your site design is controlled at all times, and you’re reminded when something just isn’t quite right. Automatically or manually fix errors in real-time and prompt SEO improvements. 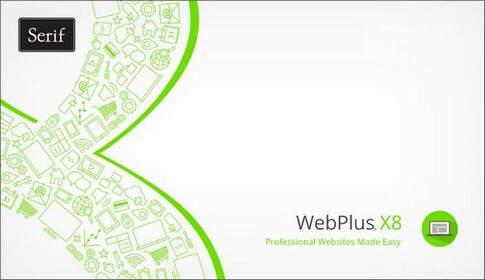 WebPlus X8 gives you the stepping stones to create a flawless website quickly, and easily. Organising your website tasks has never been easier too, with the ability to add your own intuitive reminders, letting you take a step back and make sure you’ve got it just right before anything goes live. There are so many amazing new features in WebPlus X8 to enjoy, and believe it or not, we’re giving you more...! You now have the ability to scan images into your site directly from WebPlus, place text into websites as plain text and have even greater control over the style of your links, giving your users a smoother, sleeker online experience. The list is endless, so get your hands on WebPlus X8 today, you’ll love it just as much as we do.